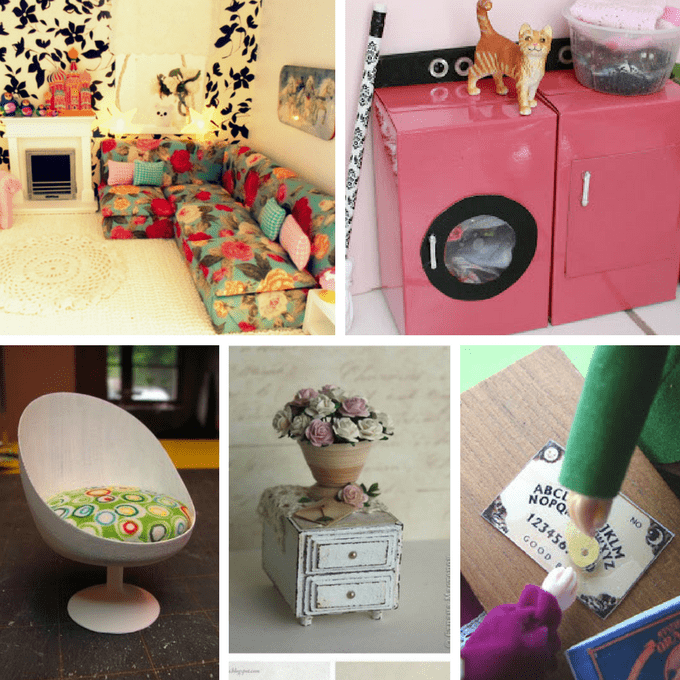 Doll house furniture ideas: A roundup of DIY doll house furniture tutorials. 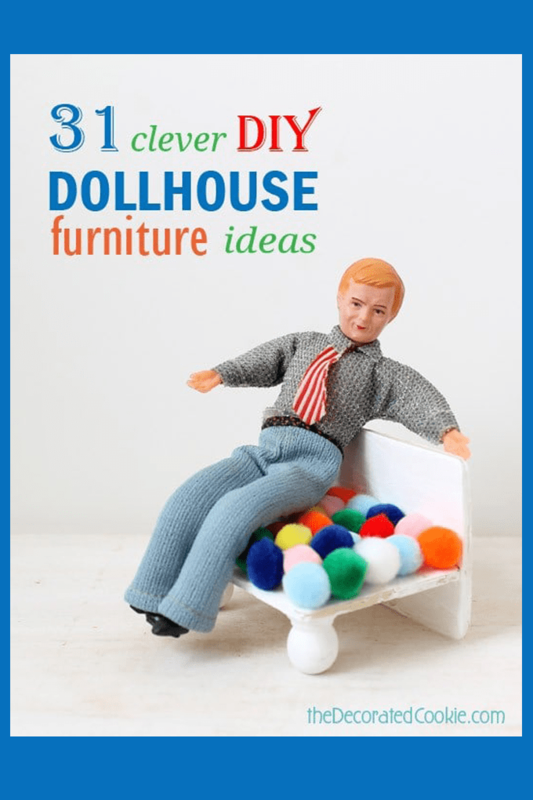 Dollhouse furniture ideas! 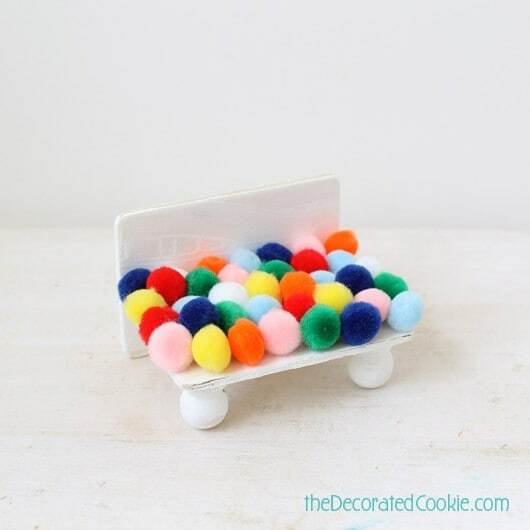 A roundup of 31 awesome DIY doll house furniture crafts and how to make this pom pom armchair. About 30 years ago, my grandparents gave my sister and me a dollhouse for Christmas. This dollhouse was big, had 6 rooms, and was made of unfinished plywood. 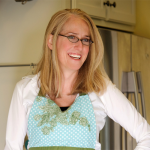 On a recent trip home to New Jersey, I took on the task of cleaning out my old bedroom. I hadn’t looked at the dollhouse in 20 years, evidenced by the layer of dust covering every inch of the inside. We never did get around to painting that dollhouse (way to neglect your kids, mom… oh right, single mother of three who worked full time, fair enough). But I spent hours upon hours playing with this thing. I had completely forgotten how nerdy and nuts I used to be. Once the dust cleared, I found all this great doll house furniture inside. I had a few actual dollhouse items, specially purchased from the hobby shop in Spring Lake, NJ, close to my grandparents’ home town. I used to bike over there with my brother and sister and marvel at all of the way-too-expensive-to-ever-own dollhouse furniture, displayed in dioramas of finished rooms the whole length of the shop wall. But most of the furniture was handcrafted by a younger, preteen me. I was all about DIY doll house furniture. I made a bed and fireplace out of cardboard. I fashioned a comforter and pillows from fabric scraps. That mail desk was purchased, but I stuffed it with tiny pieces of handmade mail. The kitchen and bathroom mostly neatly display my nerdiness. The refrigerator even has a calendar hung on the side. The last trip home I collapsed the dollhouse, loaded it in the car and drove it back to DC. My six year old and I have taken on the task of painting (done, a true mutual effort, though picture me as Monica from that Friends episode where she yelled at Phoebe for messing up her dollhouse. It was a true exercise in patience on my part.) Wish I had a before pic of the plywood. But it looks pretty awesome. I wish we had painted it long ago . Use the wood glue to glue two knobs to the underside of one of the wood pieces for the 2 front legs. Let dry. Glue the other wood piece vertically behind the first one, so it serves as both the back legs and the back of the armchair. Let dry. Paint the whole thing white and let dry. 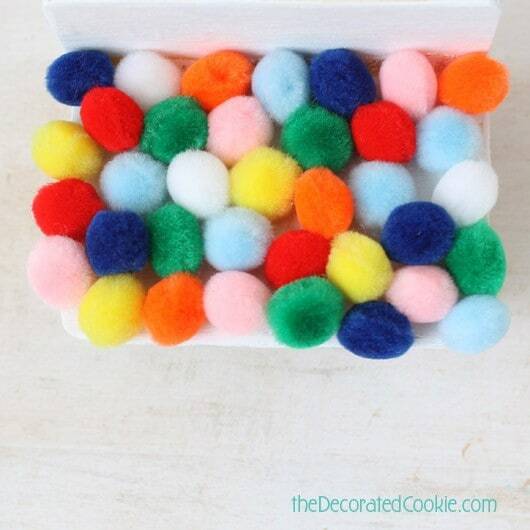 Spread tacky glue over the seat and top with mini pom poms, pressing down gently. Let dry. 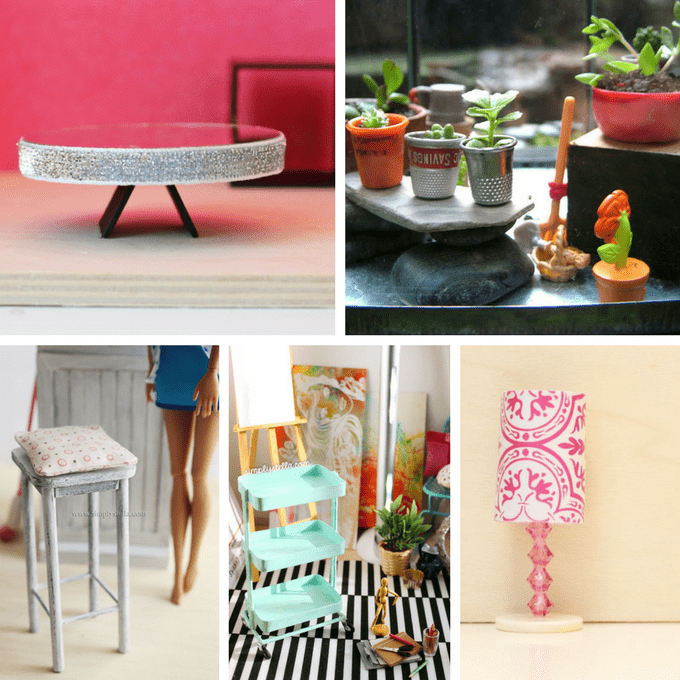 These DIY dollhouse furniture ideas and other accoutrements make me feel totally less nerdy about my preteen creations. 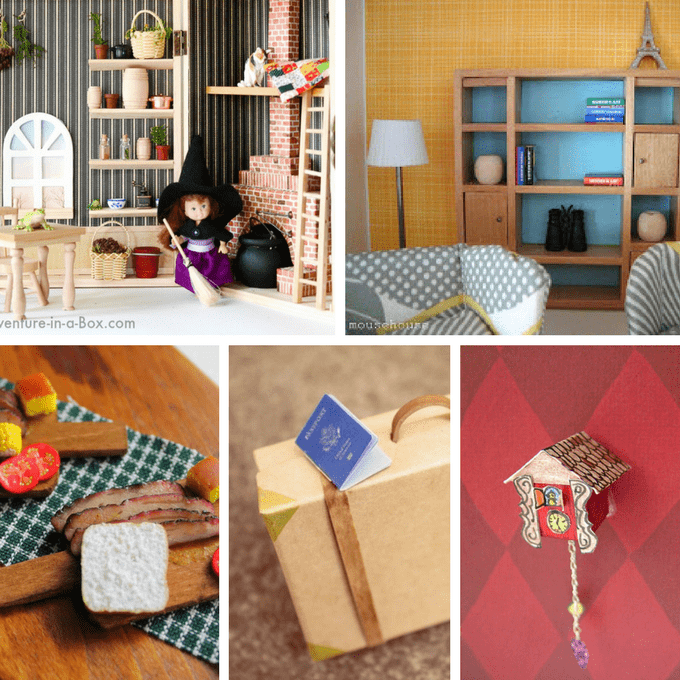 A witch’s dollhouse in a box is too adorable. 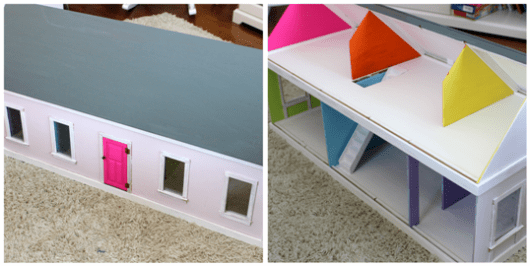 This colorful, modern dollhouse inspired our remodel. Make a mini cutting board. Do the dolls travel? Make little passports. Gasp! 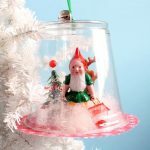 Make a tiny cuckoo clock! 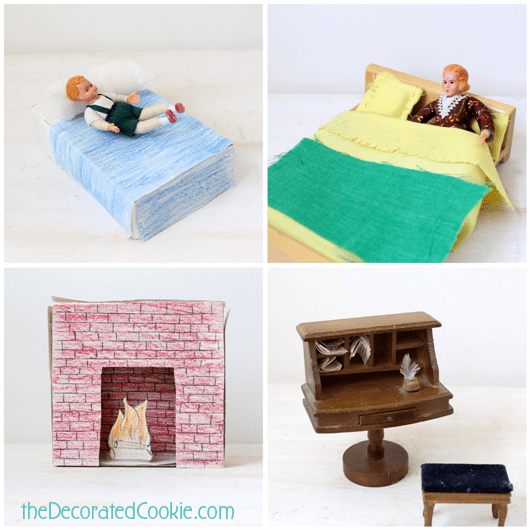 Dollhouse furniture from egg cartons. 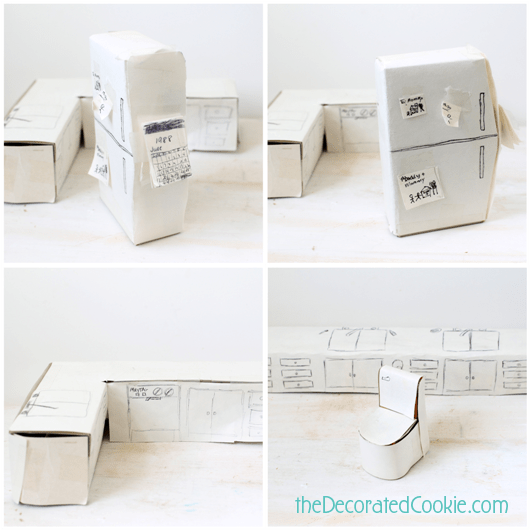 Or if you travel, make a portable dollhouse. 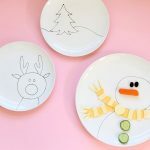 Use plastic canvas to make the dolls a patio set. Dolls need toys. Make a Jack-in-the-box. 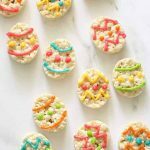 Make a bakery box. And fill it with bread. This modern table DIY would go well with that armchair. 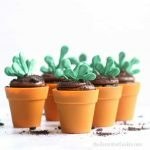 Turn thimbles into a green house. For the older dolls, some bar stools. Make a mini IKEA shelving unit. Make a gorgeous lamp I wouldn’t mind having myself. How to make a corner couch. Make a whole laundry room! This mod chair from Febreeze is genius. Make an awesome end table. Oh, you’ve got to have a Ouija board. 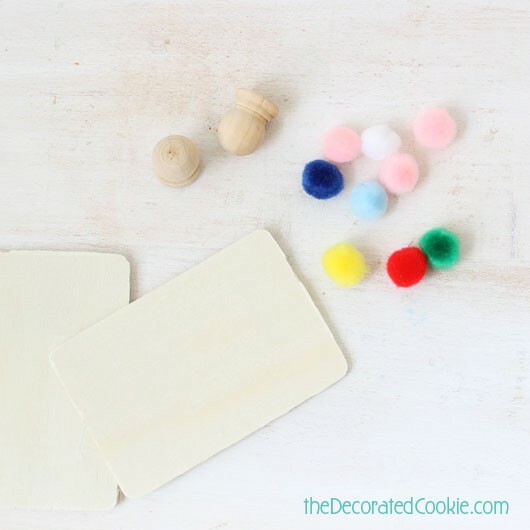 Great idea for a simple dollhouse rug. Make a sofa from foamboard. Here’s an ottoman to go with the armchair. 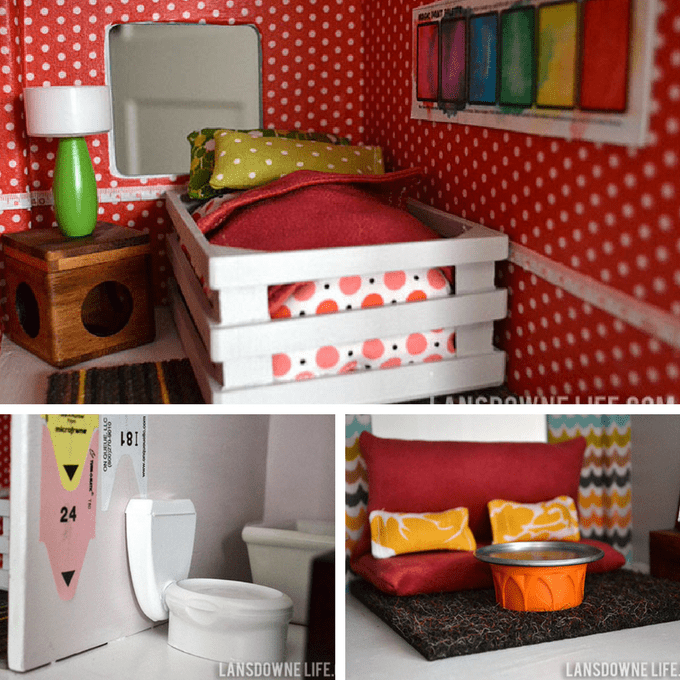 Check out the sewing room (and everything) in this DIY dollhouse. I am terribly in love with every room of this dollhouse-furnished-with-stuff-around-the-house. Check out the toilet made from dental floss and a shampoo cap. The living and dining rooms. The kitchen. The sitting room. And the bedroom. Need more? 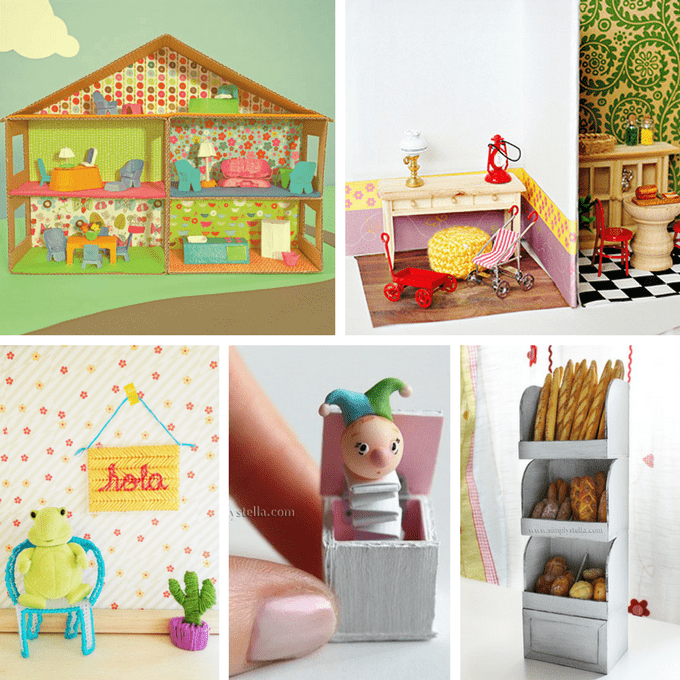 For total dollhouse envy, check out this collection at Apartment Therapy. 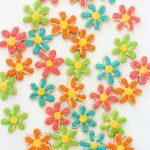 I just wanted to stop by to say thank you for adding my link! 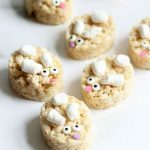 Your dollhouse craftiness really takes me back! My best friend and I used to spend hours creating tiny items for my dollhouse. I never even had any dolls for it, but you can be we had teensy food and books and carpets and anything else we dreamed up when we were girls. 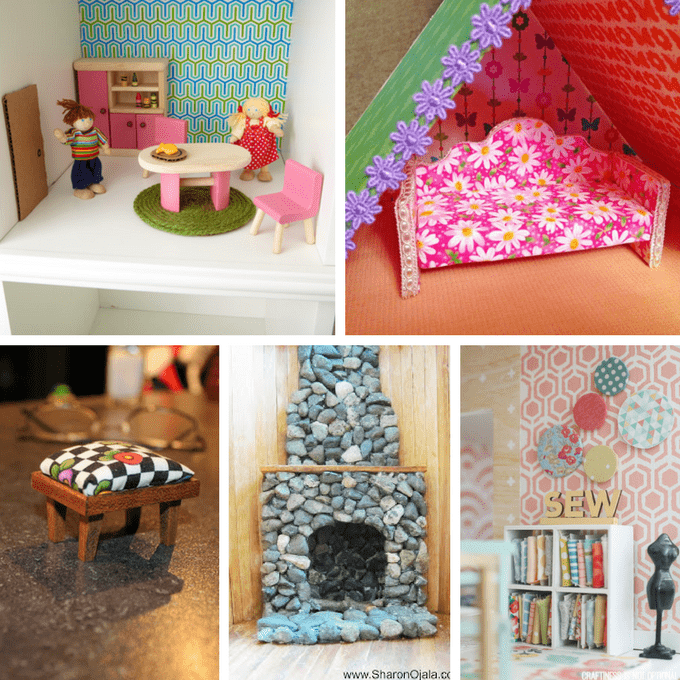 It’s so much fun to see what kind of imagination a simple enough toy like a dollhouse inspires! 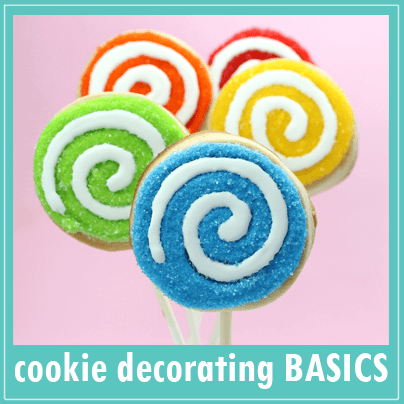 Oh gosh, when I looked in that dollhouse and saw all the dust-covered furniture I had made, I was flabbergasted. I remember making furniture, but the time I took back then to be so detailed! 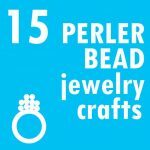 (Remember when we had time to be detailed?) I had a TV, too, with a “CapriSun” ad on it, a little clock in the kitchen, everything. Imagining entire worlds in miniature! Oooh, Beth, is it one of those old Victorian-style? That’s my dream. I wouldn’t let my kids touch it though, it’s all me. We also have another dollhouse in-the-style-of Victorian only smaller that we got at a yard sale. We also “redid” that one to be kid-friendly. I need to send you those pictures too! I was poor so I made all my dollhouses from old boxes. I even managed to make decent stairs.